53% of customers say this fits as expected. Each style has different size,Please check the size chart carefully before you buy the item to ensure your order a perfect one. 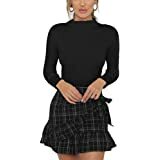 - Women High Waist Versatile Flared Suspender Skirts. - Adjustable straps design, High waist,Zipper fastening, Flouncing hem. 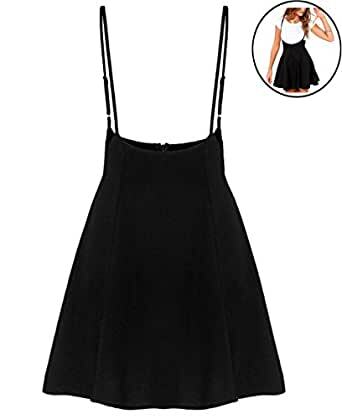 - High waist, A line, Flattering skirt, Above knee, Zipper closure, Suspender skirt. - Suitable for casual wear with a white t-shirt, solid color t-shirt by summer or a chiffon blouse. - Occasion: Suitable for shopping, a party, club, school, dating, college, working,weekend or daily life. 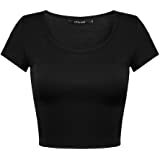 Small: Waist 31.5", Length 20.47"
Medium: Waist 33.1", Length 20.87"
Large: Waist 34.7", Length 21.27"
X-large: Waist 36.2", Length 21.67"
1. This size information is reference only, please allow 0.5-0.9in errors due to manual measurement. 2. Please check the size chart carefully before you buy the item to ensure your order a perfect one. 3. Color Disclaimer: Due to monitor settings and monitor pixel definitions, we cannot gurtantee that the color you see on your screen as an exact color of the product. Pls understand. Thank you for your purchase,If you're satisfied with our product and service,Please leave us a positive product review or feedback.We will appreciate that very much. Please feel free to contact us through Amazon messages before you leave a negative feedback.We will get back to you as soon as possible and try our best to solve the problem. This jumper is absolutely adorable! However ladies, size up one or two sizes. 4.0 out of 5 starsGood for it's price. Good fit for my size. Very cute to wear. The material is more of a costume quality. Bought for a themed party with hopes of wearing after, that won’t be happening. Still cute. Love this! Material was better than expected! I had to make adjustments to it. Did not fit as expected. Waist area was a loose.